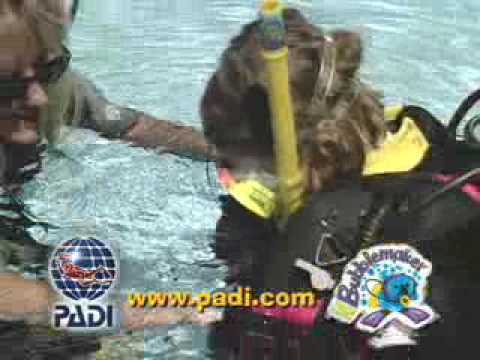 PADI BUBBLEMAKER What a great way to introduce children to scuba diving. What a great way to introduce children to scuba diving in a pool in less than six feet of water. Celebrate a birthday by throwing a memorable, exciting Bubblemaker party with friends and family. It's fun, easy and safe. Youngsters can join in the family fun of scuba diving or even start a trend! Children should be comfortable in the water, but they don't have to be super swimmers. With youngsters in mind, the maximum depth is only 2 metres/ 6 feet. Children use all the basic scuba gear, which is made for their size and stature.